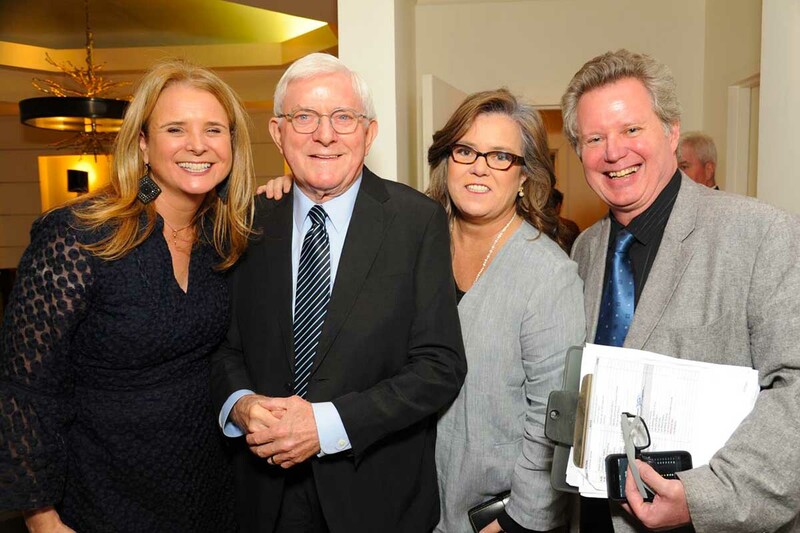 Lifetime Achievement Award recipient Phil Donohue with Rosie O’Donnell and IAMW&A board members Maria Deasy and Mark Butler at the 2017 O’Neill Award and Benefit at the Manhattan Club. Each fall at a festive reception, IAW&A recognizes the contribution of an Irish American artist whose work places them among the great artists and entertainers of all time. Named for the playwright who embodied the highest level of artistic achievement (including four Pulitzers and the Nobel Prize for Literature), the Award is handcrafted and etched in optic glass by Tiffany and Company. A distinguished roster. Starting with the novelist William Kennedy, our winners have included such outstanding talents as Brian Dennehy, Judy Collins, Charlotte Moore and Ciarán O’Reilly, John Patrick Shanley, Pete Hamill, Patricia Harty, Malachy McCourt and Phil Donahue.